All new Silent Series R2 fans are equipped with high performance hydraulic bearings, increasing both fan performance and reliability. 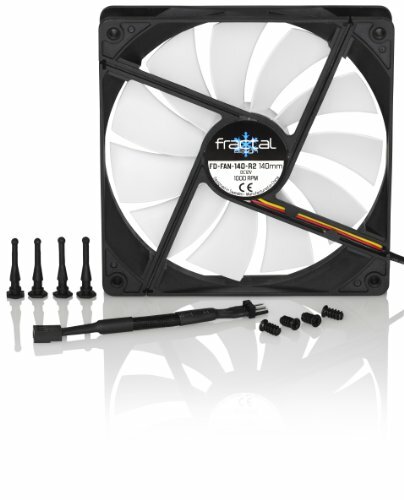 The 120mm and 140mm fans come with a low-speed adapter, which lets you choose between two different rotation speeds without a separate fan controller. Each fan 60mm and larger is packaged with both 4 metal screws and 4 rubber screws to ensure maximum fan-mounting options. Decent fans. Quiet when I want them to be. I have one mounted horizontally that rattles a bit when cranked up. Very quiet and high performing. Good fans for the price. However, the mounting options are terrible IMO. They come with 4 metal screws and 4 rubber screws. I used the rubber screws, which were a real PITA to use. Mostly because you have to pull them pretty hard to secure them. However, room in the case was limited after installing everything else and you would have to get in weird angles and tight spots to try and pull these rubber screws through the mounting holes. Furthermore, if you pull to hard trying to secure the screws, they will slip through the case mount holes. Meaning you have to remove all the previous rubber screws and try again!! Also, I ended up breaking one of the rubber screws b/c I pulled too hard on it. Fan mounted fine with just 3 and still stays silent though. Quiet fan that doesn't push a whole lot of air. Still keeps the temps in my Define R4 reasonable. If you would be running this at higher RPMs, you're better off with a higher performance model. If you're using the fan controller @ 5V or using the motherboard control in "Quiet" mode, this will get the job done. 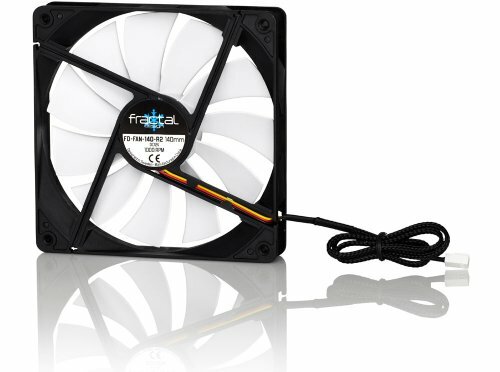 Very quiet fans that provide a good amount of airflow! Great silent fans. I wish I had researched a little more to match the blade design to the ones that were included with the R5 (these have more, smaller blades than what's included). Not that big of an issue but again, one of those OCD things for me.